Those were the words seven-year-old Roy Henry Vickers wrote on the blackboard on the many occasions that his Grade 2 teacher caught him drawing outside of art class. 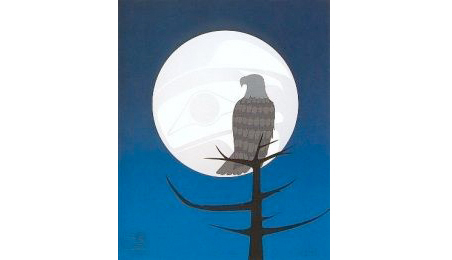 Decades later, when she visited Roy at his Eagle Aerie Gallery in Tofino, British Columbia, his teacher proudly congratulated him on his accomplishments and admitted she wished she’d kept all his drawings. That would have been wise. 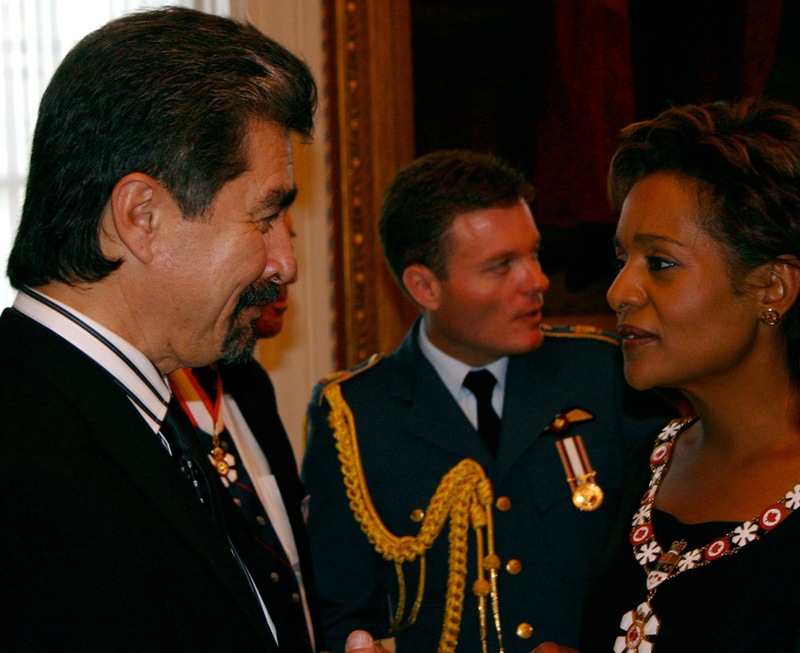 Today, Roy is one of Canada’s most celebrated artists. 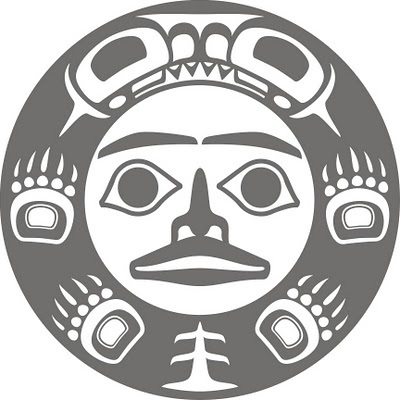 His prints, paintings and carvings can be found in private and public collections and galleries around the world, including the Canadian Museum of Civilization in Ottawa, Ontario, the University of British Columbia’s Museum of Anthropology in Vancouver, B.C., the McMichael Canadian Art Collection in Kleinburg, Ontario and the National Museum of Ethnology in Osaka, Japan. 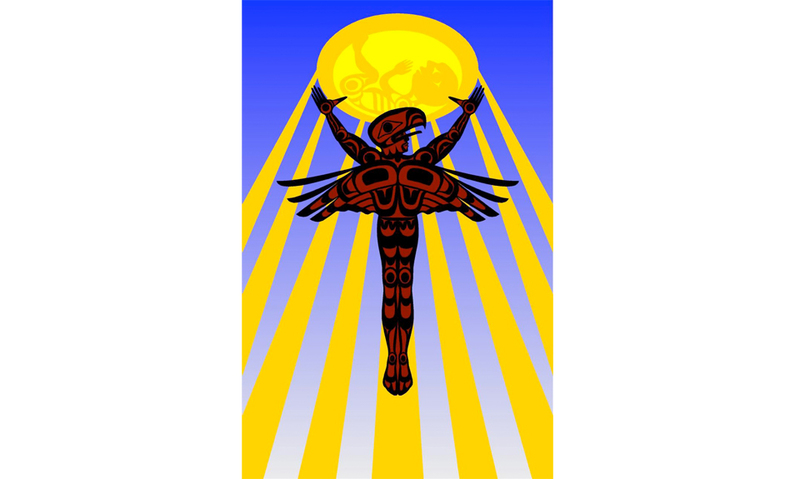 The 10-metre Salmon Totem he carved for the 1994 Commonwealth Games’ aquatic centre still stands tall and proud near Victoria, B.C. His works have frequently been given as official gifts to the likes of Queen Elizabeth II, former Soviet leader Boris Yeltsin and former American president Bill Clinton. 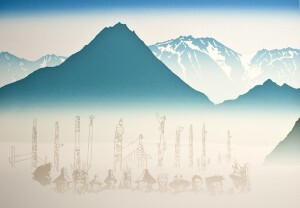 ‘A Meeting of Chiefs,’ gifted as an original to Queen Elizabeth II and as a limited edition print to participating countries at the 1987 Commonwealth Summit in Vancouver, B.C. Kickass Canadian Norm Hann recommended Roy for this website. 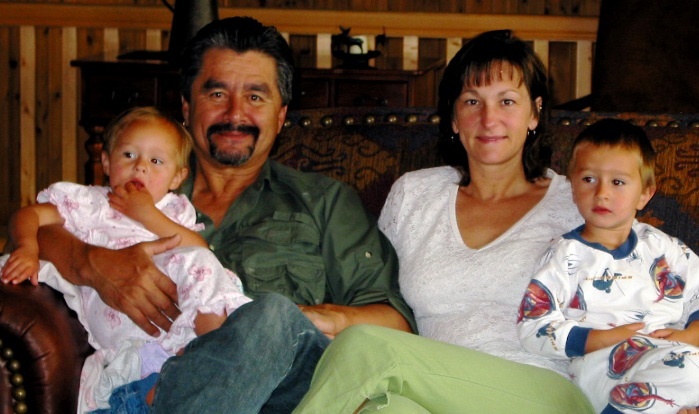 The two stellar Canucks met years ago when Norm served as his guide on a fishing boat at King Pacific Lodge. Their shared connection to nature and a mutual desire to lead and teach made them fast friends. 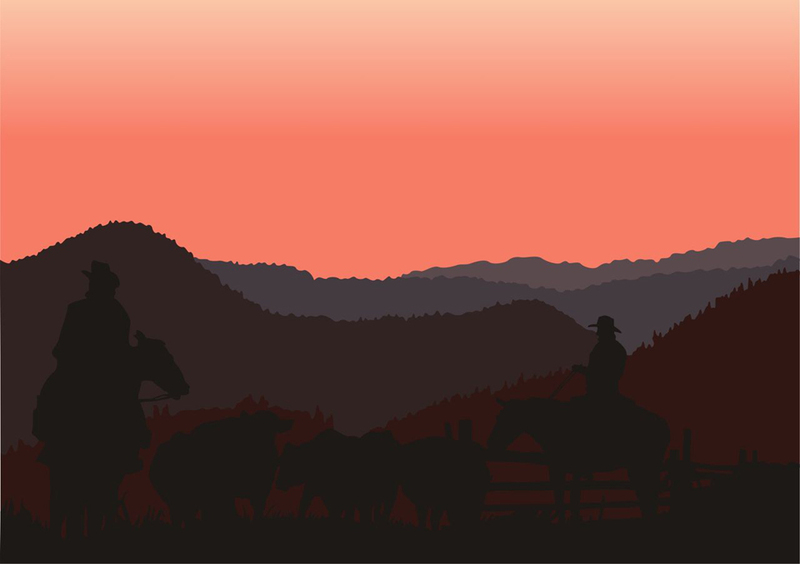 Roy’s culture and traditions are rich and diverse. 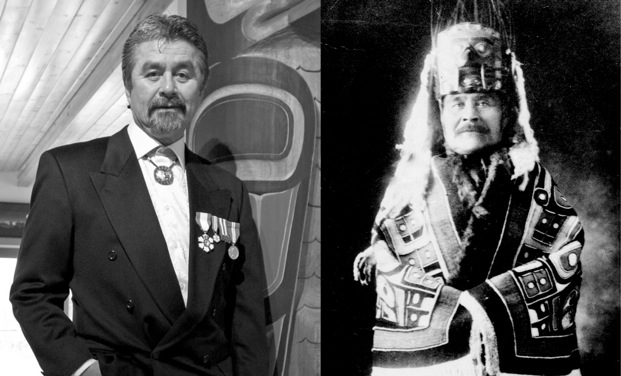 His father was a fisherman, with the blood of three northwest coast First Nations flowing in his veins: Tsimshian, Haida and Heiltsuk. His mother was a schoolteacher of British descent. 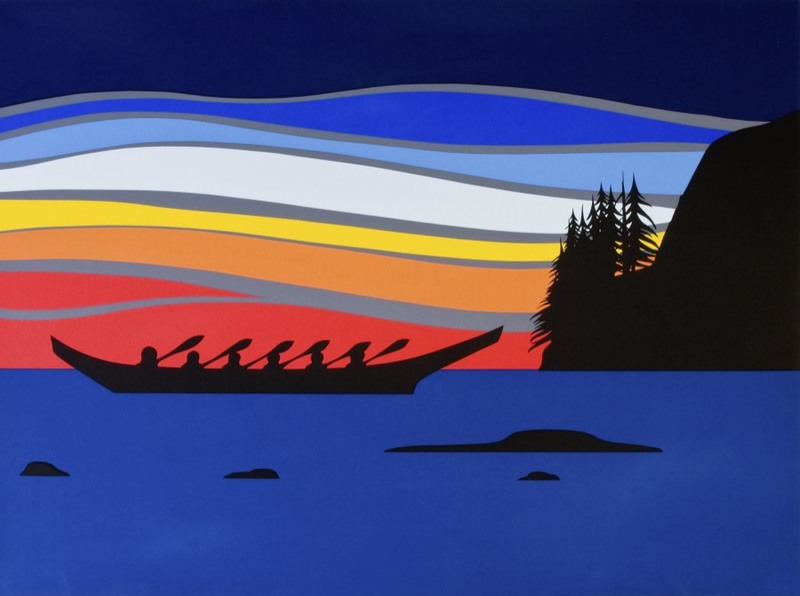 Throughout his career, Roy has drawn from the wide assortment of colours on his cultural palette, mixing them together to create powerful works of art that have touched millions. Roy stayed in Victoria, but not as a student. 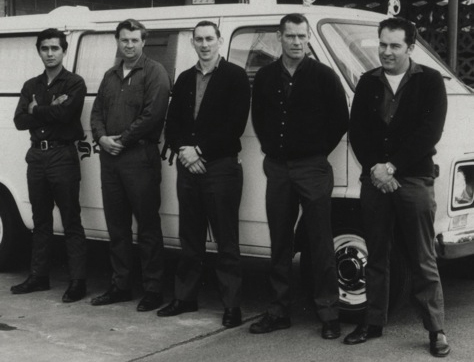 He took a job in the Fire Department, where he worked for seven years. He was devoted to his work, but always kept up his art on the side. His talent was abundantly obvious to everyone in his squad, and they continually encouraged him to quit his job and pursue art as a career. He resisted at first, both out of appreciation for his work and a worry that “artists die young, they die broke.” But a growing number of people in Roy’s life kept at him to make a go of art and, in particular, to study the traditional art of his ancestors. 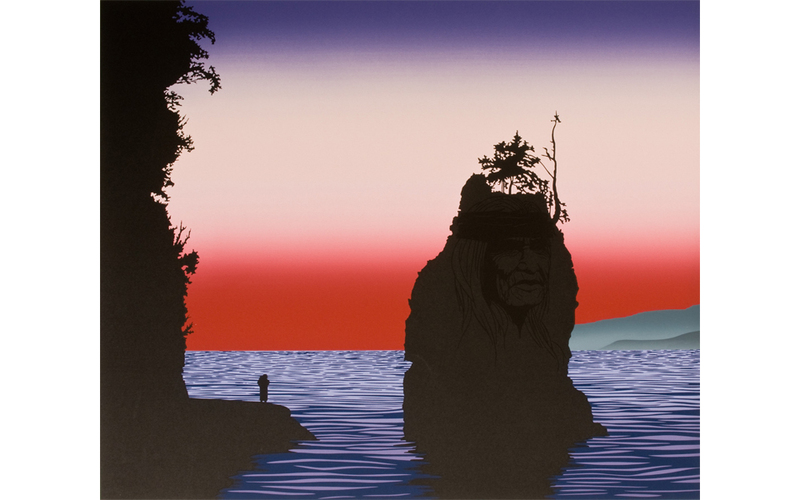 Because of his colourful pedigree, he felt driven to tackle the world of colour in his paintings so that he could better represent the varied backgrounds of the First Nations people in northern B.C. He began a series of four paintings, one for each season. 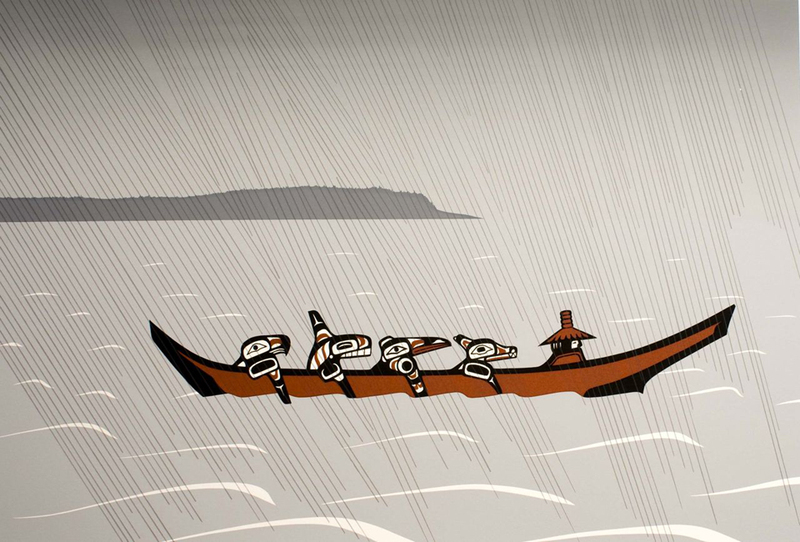 But for autumn, winter and spring, he chose muted greys for heavy rain and falling snow, and black and red traditional design for a canoe. He was still avoiding bright colours, and that wasn’t something that sat well with him. 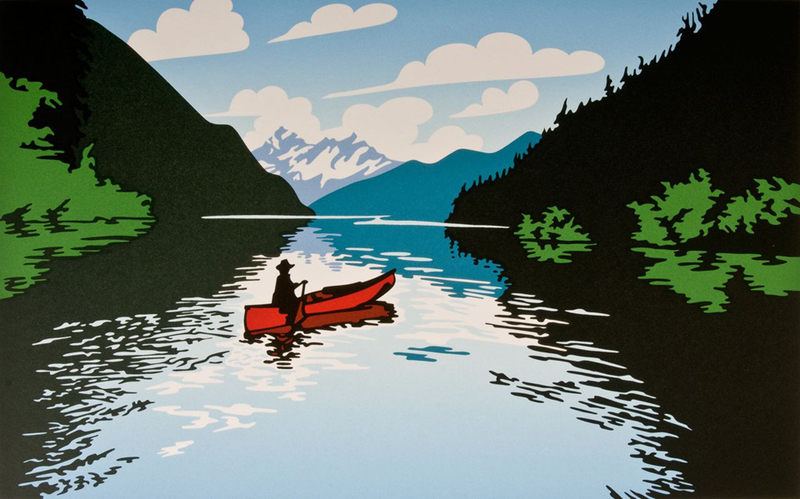 “When I completed the first three paintings, I realized I had to tackle summer,” he says. “But I didn’t know how I was going to paint a sunset.” Roy drew on his creative spirit and found a solution. He used the form lines of traditional design and separated the colours in a sunset with bands of grey that were “like wisps of clouds.” Then he filled them in with colours he could distinguish on the palette. The end result was his first painted sunset, Westcoast Sunset. In creating the four-painting series, Roy did more than conquer his fear of working with colour. Just as he had hoped, he helped open the world’s eyes to the culture that exists in abundance in his traditional territory. 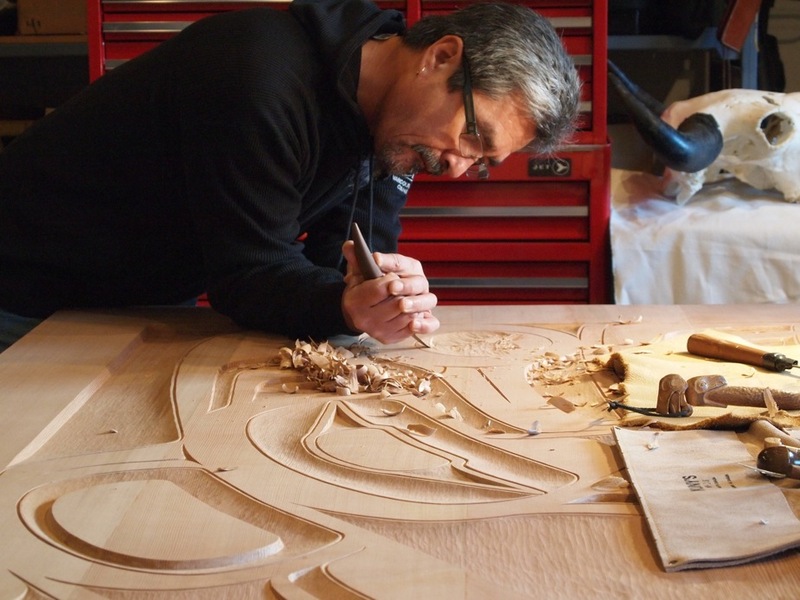 “People who had no idea what northwest coast Indian art was were made aware of it and attracted to it, and then began to study it,” he says. Along the way, Roy had to overcome demons of his own. In 1992, his career was going well. 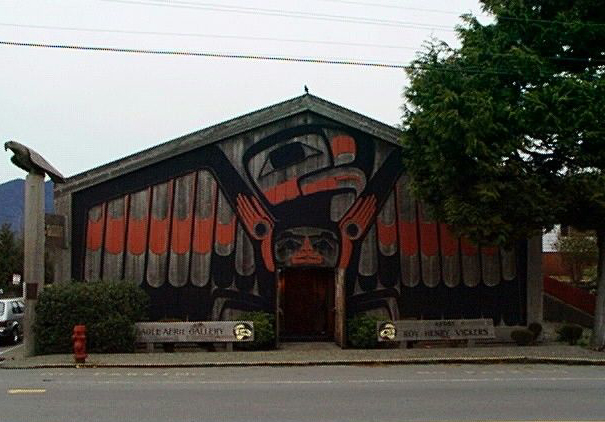 He had a long list of impressive customers and had opened his own Eagle Aerie Gallery in 1986. 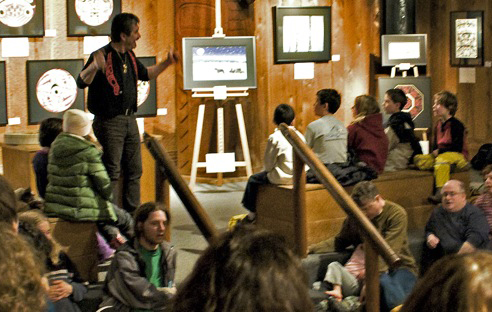 Located in Tofino, B.C., the gallery quickly became one of the area’s main attractions, drawing in hundreds of thousands of visitors every year. Thankfully, perhaps fatefully, it was at that time that his sister Patricia returned from Arizona’s The Meadows, a centre for recovery from addiction of all kinds—food, drugs, compulsions, obsessions, etc. “Patricia came back and she said to me, ‘Our whole family has addictive personalities and there’s a way out,’” he says. His sister’s message, delivered in the same words Roy had been running through his mind, sounded loud and clear. Nine days later, he walked through the gates of The Meadows. “They gave me the tools to change my way of thinking and make myself a different set of rules,” he says. The Meadows brought about other changes in Roy’s life. 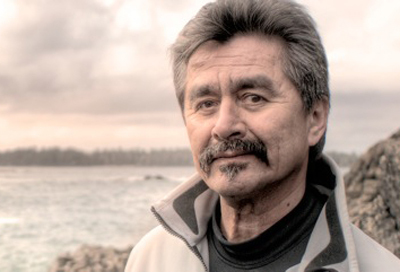 After completing the program and returning to Tofino, he “had all of the knowledge that (The Meadows) gave me, plus I had this desire to continue to walk in this way of sobriety.” As he continued down that path, he found himself looking for spiritual guidance and knew that the answer would come in finding a traditional medicine man to help him fast and pray in the ways of his ancestors. As with Patricia, the medicine man arrived to answer Roy’s question just as he was asking it. 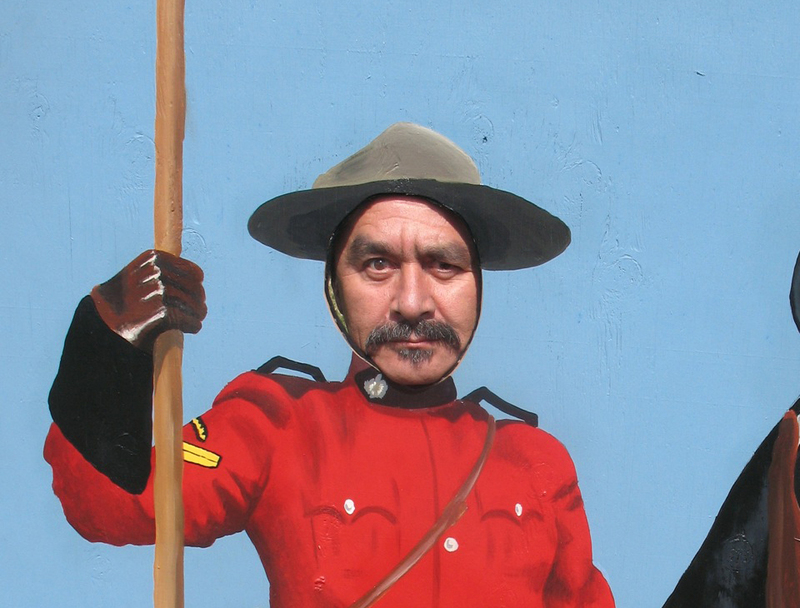 Through a friend in the RCMP, he was put in touch with a medicine man in the force and, within a week of realizing what he wanted, found himself embarking on his first fast, learning about sweat lodges and becoming a pipe carrier. Those words brought the two teachers together for life. They’re also “part and parcel” of what Roy is now teaching through the York Region District School Board. 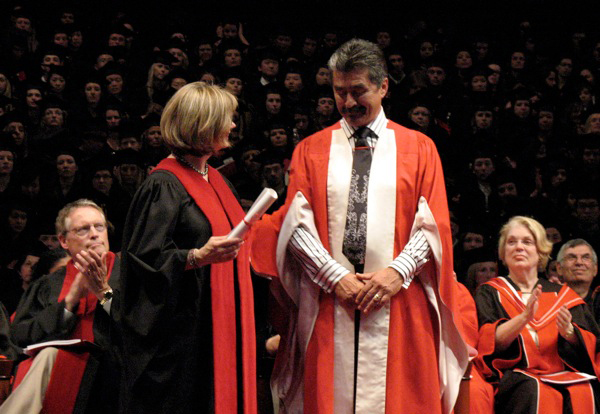 In 2007, York University awarded him an honorary doctorate for his work as an artist and as an ongoing bridge between cultures. 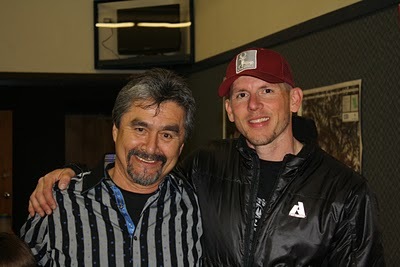 He was the keynote speaker for that year’s graduating class and part of his talk focused on the four directions. The Dean of Arts was fascinated by what he had to say on the matter. He put Roy in touch with one of his staff, and together they’re developing a program through which Roy will be a virtual teacher to secondary schools in the York region. 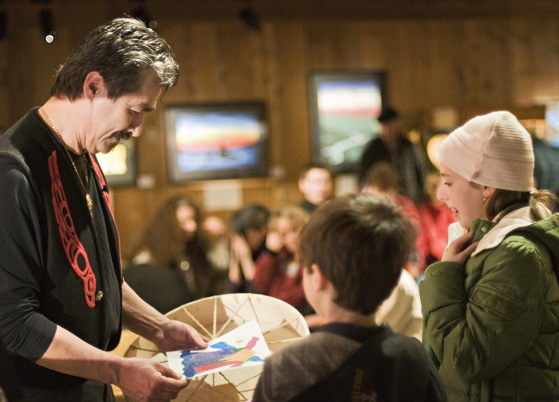 The program launched this spring with an art class at Elder’s Mills Public School. Through iChat, Roy participated in online, interactive discussions with the students. It went so well that he and the school board are in talks to apply the program on a larger scale across a host of secondary schools in the region. For the latest on Roy, visit royhenryvickers.com, email tlakwagila@mac.com, follow @RHVickers on Twitter or join his Facebook group. You can also check out this video to see more of his work. I love his work and the Gallery is amazing, thank you for posting this interview. I would also like to thank Roy for his time, energy and contributions to The Ride to Live that raises funds for prostate cancer research, support and hopefully one day a cure. This artist/man is very inspiring. Now I know if I turn my life around, my life will be awesome. My friend and I draw in class all of the time and now we have a great excuse! THANK YOU ROY! Thank you for allowing me to be part of this space. I continue to work at my expression and find those who communicate a passion for life, love and hard work. Taylor, throughout my almost 40-year career, I’ve found that talent is not all that is necessary. I’ve met many who have far more talent than I, and yet they do not believe in themselves or get lost because of different distractions. Hard work and keeping to the truth, as well asking for inspiration from the source of all creativity, are the keys to being successful as a professional artist. Such amazing and impressive accomplishments. Our first visit to Tofino and after spending five days surrounded by ocean, mountains and trees, we finally found an afternoon to see Roy’s gallery. Wow! 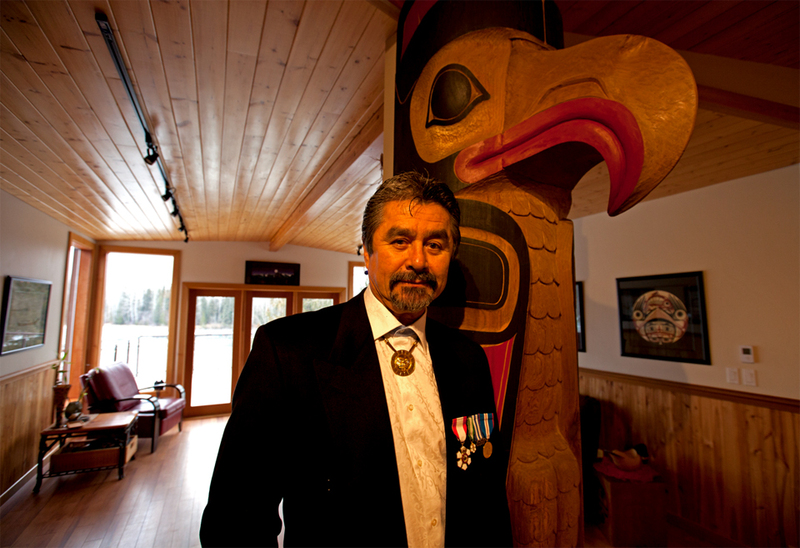 He really captures the special nature of this place and its First Nations people. Very emotional and inspiring. I only wish I had the opportunity to meet this gifted artist. Thank you for sharing, Jon! Sounds like a beautiful trip.